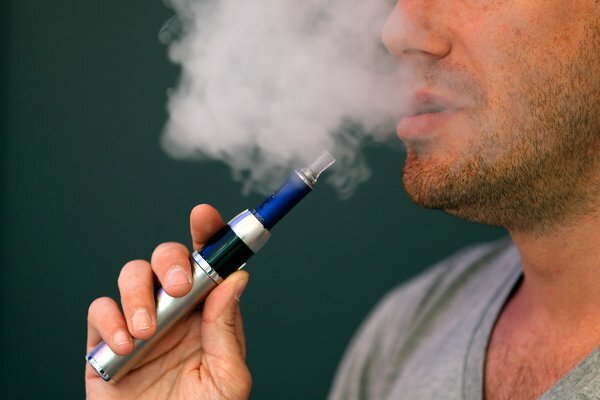 Electronic cigarettes known as e-cigarettes are battery-operated devices containing a heating device and a cartridge that holds a liquid solution. When the user vapes or puffs on the device, vapour is released which is inhaled. It may seem like a safer alternative to conventional cigarettes, however when it comes to dental health, research is indicating that vaping is just as, if not more harmful than smoking. The role of e-cigarettes creating an aerosol to cells and tissues of the oral cavity, is thought to compromise periodontal health (the health of the gums and bone around the teeth). Research has shown that exposing the cells in the mouth to e-cigarette vapour caused more than half of the cells in the mouth to die in a few days. ￼ In a study published in the journal Oncotarget, researchers found that the chemicals present in e-cigarette vapour were potentially more damaging than tobacco smoke to the cells in the mouth, which could cause further oral health problems. The vapour is thought to damage the defensive barrier in the mouth which may increase the risk of infection, inflammation and gum disease, which may cause tooth loss. Long term it is thought that ongoing changes in the cells in the mouth may occur. Your dentist can carefully check and monitor the condition of your gums, teeth and soft tissues to check for any changes, and help to optimise your dental health.